One of the biggest questions travellers face when planning to visit our country is – should I go to North India or South India? And, of course, when they think ‘North India or South India’, they’re usually considering Rajasthan and Kerala. These are two beautiful states with a lot to see and do and great accommodation options, so it’s no wonder they’re wildly popular with tourists! While Rajasthan and Kerala are by no means the only two regions worth visiting in India, the intention of this article is to give you a practical overview of both, and the key factors to consider when deciding between them or deciding to include both the regions in your trip. 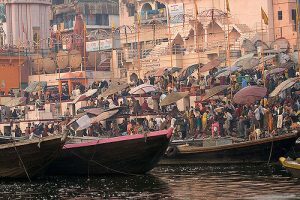 This will help you decide if you should Visit North India or South India – or both! Between Delhi, Agra, and cities of Rajasthan, this part of North India has some of the most fabulous architectural marvels of India. There’s the Taj Mahal, of course, as well as many magnificent forts and palaces. Exploring these forts and palaces is a delightful experience. They showcase intricate architecture, some offer commanding views, and they tell incredible tales of history. If you are a huge history buff, you can read up before visiting the monuments or hire a guide (or audio guide). Even if you aren’t into history and do not care too much about the stories behind the monuments, aimlessly wandering around them is a lot of fun. Rajasthan has a huge variety of delightful heritage and traditional properties to stay at. A lot of old palaces and homes have been converted into hotels. Perhaps in no other region of the world will you find so many heritage properties to stay at within one region! From the religious city of Pushkar, Ranthambore tiger reserve, and the lakes in Udaipur to the desert town of Jaisalmer, Rajasthan offers very diverse experiences. Rajasthani locals add bright bursts of colour to the countryside in their saris and turbans. Rajasthan offers many chances to get a glimpse of rural life as you travel between towns. There are a few rural excursions to choose from, too – contact us if you’re interested in one! Travelling between towns takes time and often involves a combination of modes of transport. You should always expect multiple five to seven-hour road journeys. Overnight bus and train journeys from Jaipur are among the most used ways to reach Jaisalmer, though there are now flights from Mumbai, Jaipur and Delhi as well. On the whole, Rajasthan is dry and arid in contrast to the forever-green Kerala. Rajasthan might not be too conducive when traveling with very small kids. Distances are long, and there’s not as many activities for kids. Having said that, forts and palaces can be great fun for imaginative young kids to explore. Kerala is extremely green! It’s a stunning state, and very easy to relax in. The hill station of Munnar offers breathtaking views of tea plantations and rolling hills and valleys. Thekkady, near Periyar National Park, offers elephant rides, light trekking opportunities, boat rides on the lovely Periyar Lake and spice plantation tours. Fort Cochin is arguably the quaintest town in India! It has old India, Dutch and colonial structures, ancient markets, and plenty more. It’s very easy to walk through and explore at your own pace. Our tip: a Kathakali dance performance is always fun to watch when you’re here. 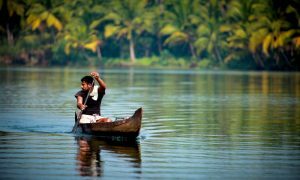 Kerala is easier in the sense that travel times are much shorter – three to five hours is typically the longest you’d spend in transit, and the attitude is not as aggressive and ‘touty’. You are more likely to get a fair price and will not be harassed to spend your money as much as you would in North India. Kerala offers delightful accommodation options, too. In contrast to Rajasthan, there are not really any palaces converted into hotels. However, you will find lovely traditional villas, homestays, the famed houseboats and colonial stays. In most cases, it’s the views that make the stay. You can easily find a room that overlooks a valley, or stay by the waterfront along the backwaters. Somehow, hospitality in Kerala is more laid back and honest. People are always trying to make sure you are well fed! Kerala is ideal for small kids. Kerala by itself has nothing you can complain about. 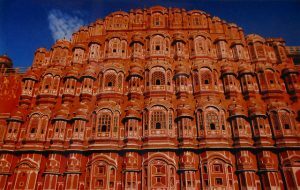 It is only when you contrast it against Rajasthan and consider the benefits of North India or South India that you’ll see that it offers no forts, palaces, monuments or noteworthy temples to visit. But, then the theme of a holiday in Kerala is different. It is all about nature and relaxation. North India or South India – what do you choose? If we are allowed to be biased, for a first time visitor, Rajasthan trumps Kerala. This may just be for the sheer stunning monuments it has to offer. If you like exploring history and ruins and want an active holiday, then perhaps North India is more suited for a ten day holiday. 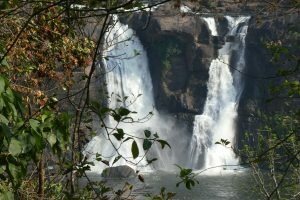 On the other hand, if you are convinced that you want to relax during your holiday, experience nature and engage in some light trekking, then Kerala is your answer. 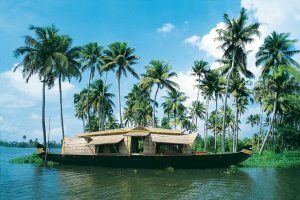 Kerala is absolutely gorgeous, and you have the backwaters, the hills and tea plantations, and loads of lovely accommodation options to choose from. If we had couple of weeks to visit India, would you recommend only North India or South India or both Rajasthan and Kerala? This is a hard choice. Kerala by itself for fourteen days can be a little excessive, and one would have to include Rajasthan. A North India trip can easily span over fourteen days without getting excessive or feeling repetitive. So the choice is either to just take a North India trip, or include Kerala in the itinerary. It’s important to understand that a combined trip works out a little more expensive. This is because you have to take flights between the two regions. We usually send our guests multiple travel plans to help them decide. Here’s a couple routes some past guests have done. If you have seventeen to eighteen days or up to three weeks then, you can include both in your trip. ** Please note, this article only focuses on Rajasthan and Kerala. We have not explored regions like Goa, the city of Mumbai or other regions of India and the merit/demerit of visiting them. However, they are worth considering too.